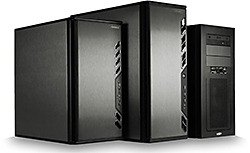 Desktop Systems: Although tablets and laptops are making tremendous gains in the market, there are still plenty of desktops out there and we service them all, including the "all-in-one" types. 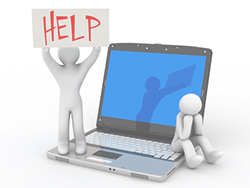 Virus removal, software troubleshooting, hardware troubleshooting, upgrades and rebuilds are just some of the services we provide on desktop systems. Just bring in the tower, we don't need any cords or mouse/keyboard. 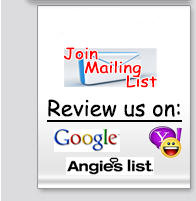 We will diagnose your problem and provide you with an estimate. 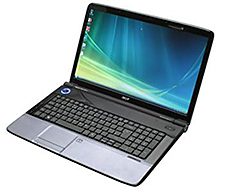 Laptop Systems: Laptops now make up about 60% of all the systems we see. We service hardware and software issues as well as hardware. Another big repair we see is broken screens on laptops. We DO replace broken screens on laptops, we do it all the time. Another very common problem with laptops is broken DC charging ports. This is the place on the laptop where you plug in the charging cord. Any place where you have human interaction with a device you are going to get wear. We do DC jack replacements right here in the shop. We do board-level soldering, again right here in the store. We don't send ANYTHING out for another company to repair, we keep your system right here in the shop the entire time it is being serviced. Bring it in and we will give you an estimate for repair. Tablets: We are seeing a lot more tablets coming in for repair. We service tablets of all kinds, Apple, Kindle and others. We replace broken screens, broken charging ports and software issues. 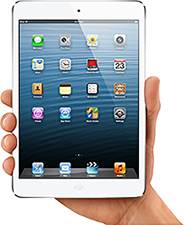 Bring in your tablet or ipod and we can help you with any problem you may have. Onsite: We do offer onsite, which is when we come to you. Whether it is a private home or business setting, we can get you taken care of fast. 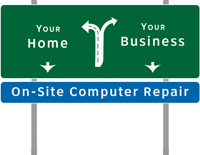 Although our physical location is in Lee's Summit Missouri, we offer onsite computer repair in the entire Metro Kansas City area, including the Kansas side. We have a dedicated experienced onsite technician ready for your call. Call Dave at 816-524-9888 to get you scheduled. 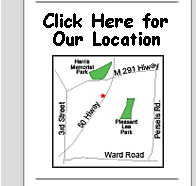 All original content ©2013 One Stop Computer Shop LLC, all rights reserved.